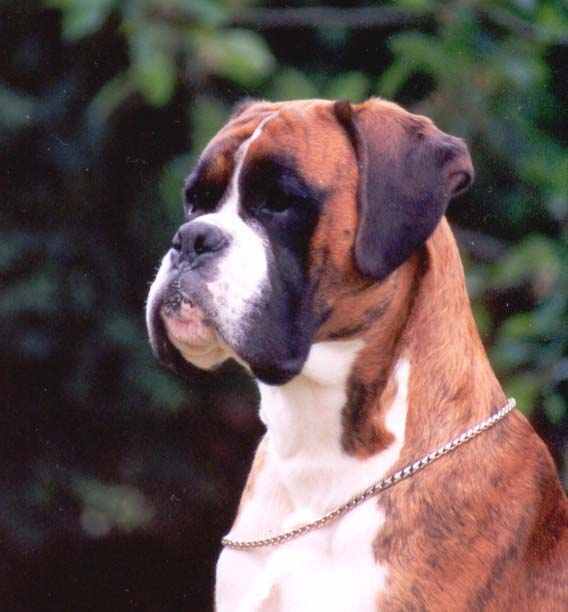 Welsh Glory” was mated to Boxella’s Chief at Zenmaxkay, from this first litter we kept a dog – Tyberg Apache Chief. He exceeded our expectations and had been awarded 2 CCs and 1 RCC. Due to an injury he was retired from the show ring, but thoroughly enjoyed his retirement. He was a perfect gentleman and a joy to live with.